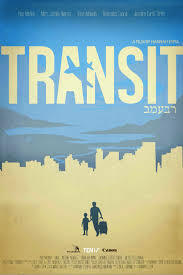 Synopsis: The film begins and ends in an airport during a father and son’s transit ﬂight from Tel Aviv to Manila. It tells the story of Moises, a Filipino single-dad working as a caregiver in Herzliya, Israel, who comes home to his apartment in Tel Aviv to celebrate his son Joshua’s 4th birthday. It was on that day that Moises, together with their Filipino neighbors Janet, and her daughter Yael, ﬁnd out that the Israeli government is going to deport children of foreign workers. Afraid of the new law, Moises and Janet decide to hide their children from the immigration police by making them stay inside the house. Next Post Bakit Hindi Ka Crush ng Crush Mo?